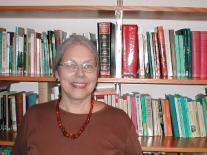 Barbara Traister teaches and writes about the literature of 16th and 17th century Britain, particularly about Shakespeare and his contemporaries. Other teaching interests include contemporary drama, adolescent literature, and medical and magical texts from the Renaissance. Barbara has a PhD from Yale University and taught briefly in the Midwest at Kalamazoo College before coming to Lehigh in 1973. She has held fellowships from NEH, the Rockefeller Foundation, ACLS, the Folger Shakespeare Library and the Chemical Heritage Foundation. She has been a scholar in residence at The College of Physicians of Philadelphia and at the Medical College of Pennsylvania where she also taught courses in medical literature for a number of years. Her publications include Heavenly Necromancers: The Magician in English Renaissance Drama (Missouri), The Notorious Astrological Physician of London (Chicago), Anonymity in Early Modern England (co-edited with Janet Starner for Ashgate) and numerous articles on early modern drama, medicine, and magic.